I had the very fortunate opportunity of being accepted for a graduate internship with Sustainable Bolivia. Working with Sustainable Bolivia and its local counterpart organization Fundacion Amazonia, I had the opportunity to stay in Riberalta and meet many wonderful people, going from local people I had to work with in the city or in the communities and the volunteers. 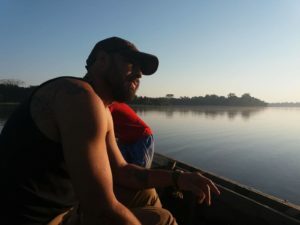 Working with Sustainable Bolivia was a one of kind opportunity to study and explore the Amazon with the Aquicuana Reserve which is conveniently just minutes away. Sustainable Bolivia has an amazing group of people working for them and an outstanding network within Riberalta. One of the best things about staying with Sustainable Bolivia was the people I got to meet.